This book guys. Wow. Such an intimate, heart-wrenching look into life with anorexia. I am no stranger to depression and anxiety, but I have never personally experienced anorexia or bulimia, so while I can sympathize with some of the thoughts and feelings, I had no idea the depth of this disease. 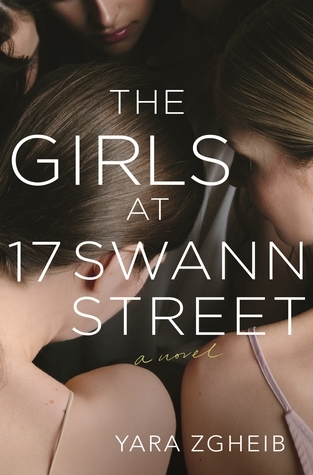 The Girls at 17 Swann Street is the story of Anna Roux, a young french girl with a seemingly beautiful life. She was a dancer at one time, but has now moved to the US with her husband for his job. Between the move, the distance she feels from her husband who is her best friend, and only friend in the US, and past tragedies, Anna begins to lose herself to anorexia. The book opens when Anna has checked into a residential facility that specializes in helping girls with eating disorders. She has reached rock bottom and knows that without help, she will likely not survive. What follows is Anna’s struggle to rethink her relationship with food while surrounded by other girls who are just like her, and also completely different. The girls at 17 Swann Street form a bond that Anna is immediately welcomed into, no questions asked. This story is not a easy read. It’s hard. Anna’s struggles and pain come off the page and become a tangible thing. And while reading this is difficult at times, it is no less important for us to understand the struggles of others. Please note the trigger warnings listed above and if you are struggling, there is help and you are not alone. Thank you to St. Martin’s Press & NetGalley for sending me this ARC. *Please note, this quote is from an ARC copy, so it may change in the final copy. Synopsis: The chocolate went first, then the cheese, the fries, the ice cream. The bread was more difficult, but if she could just lose a little more weight, perhaps she would make the soloists’ list. Perhaps if she were lighter, danced better, tried harder, she would be good enough. Perhaps if she just ran for one more mile, lost just one more pound.